For years at the EcSell Institute we have relentlessly pushed a message that everything in sales is a management issue. Sales success, or lack thereof, is always a result of how well sales teams are coached by their front-line and senior-line managers. Team performance always starts and stops with the leader in charge. 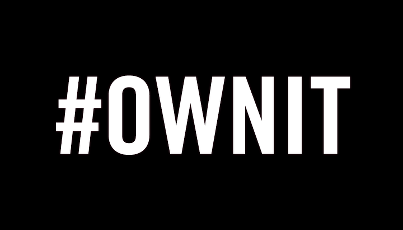 The most successful leaders look themselves in the mirror and accept ultimate responsibility for success AND failure. To date, every bit of research has proved this powerful position to be right over time, especially for our clients. 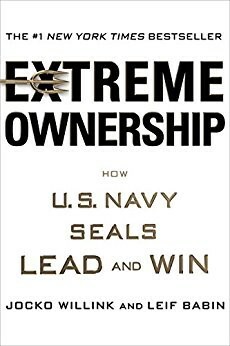 However, when Navy Seals Jacko Willink and Leif Babin push this message through their own words in their book Extreme Ownership, it takes on an even more powerful meaning. Years ago, at one of our Sales Coaching Summits, a client who was a veteran of the Air Force, stated that leadership is so damn important because in the military, strong leadership is necessary or people die. This message is easy to acknowledge, yet hard to truly relate to because most of us have not sniffed the front lines of defending America’s freedom. Willink and Babin have and did. They protected our freedom in the toughest of scenarios, fighting the enemy in one of the fiercest battle grounds of all-time, Ramadi Iraq. Through their experiences in Ramadi, they took the invaluable lessons they learned in combat and gave them practical application to business leaders in a way that is well thought out, succinct, and non-negotiable if you wish to achieve your ultimate business and life mission. Extreme Ownership was a great follow-up to book # 1, Mindset by Carol Dweck, because so much of what the authors talk about is “winning the war within”, which is in fact the first part of the book. You might have the best strategy, the best people, and the best weapons, but if you don’t have the best mindset, and are not the most mentally prepared, there is a good chance you are going to lose. This is not an option, especially in war. As much as losing is not an option, the authors did an excellent job of separating the difference between failing and losing. There is no such thing as failure so long as you learn from your mistakes as quickly as possible. Willink and Babin did a phenomenal job of showing humility and willingness to learn, which is important because if some of the strongest, most accomplished, bad-asses on the planet can check their ego at the door then there is no excuse that any other leader shouldn’t follow suit. In the book, Leif Babin tells a compelling story about SEAL training and boat race challenges where each boat was led by the Senior-ranking sailor. In short, he shares a powerful story about the contrast between the leader in boat II and the leader in boat VI. Boat II had an outstanding leader that was confident, calm, inclusive, supportive, demanding, and a great communicator and as a result was consistently winning challenges. The leader in boat VI was the exact opposite and often felt that the reason he was losing races was because the other boats had more superior SEAL’s. Boat VI’s leader’s mindset turned out to be garbage because upon switching the leaders from boat II and boat VI what do you think happened? Yep, boat VI became the new winners and boat II, while still competitive, slipped back under the leadership of the old boat sailor. We see this all the time in sales organizations. There is a strong propensity for front-line sales managers to blame the sales people when numbers are not being achieved, when in reality, poor performance is always a reflection of underperforming leadership. There are no bad sales teams, just bad sales leaders. There was a common thread in this book that pointed to senior leaders’ propensity to wrongly assume that because they had a well-devised, strategic plan for success that their employees understood how to execute it, or more importantly why they were doing it. Don’t ever assume — over-communicate. For example, if you are a sales coach and you hold a team meeting with your team of ten people, how many meetings took place? The common answer would be one, but the true answer is 11. There is the meeting you gave, and the ten different messages that were received by the people on your team. Every human being is an individual and lives life through their own perception, therefore it is critical to over-communicate to make sure every single person is on the same page, especially in understanding “the why” behind the mission at hand. Blame always feels better than guilt which is why so many sales leaders point the finger at their sales people when things go south instead of pointing their thumb back at themselves. However, the most admired and most successful leaders are introspective first they seek to understand what THEY could have done better to achieve a more desired result and where they fell short. Taking responsibility for failure is not an indictment on one’s leadership ability, in fact it is the exact opposite. Sales leaders who accept Extreme Ownership for both success and failure, will have sales teams that run through a wall for them. This book offers many key takeaways and is a must read for anyone in a leadership position. It is also a great read for anyone who is looking to not be a victim of their environment, but rather someone that is empowered to create their own. As mentioned, blame always feels better than guilt, but nobody should feel guilty for failing so long as they fail forward. Guilt is a mindset and it only exists when you are making excuses for your limitations, kudos to Willink and Babin for spreading this message. Thank you so much gentlemen for your service. Your willingness to not only protect our lives, but also improve our day-to-day livelihood at work via this book, does not go unnoticed. In his attempt to help individuals escape “The Matrix”, Tom Bilyeu, founder of Impact Theory, has a reading list of 25 books which he recommends that everyone read to better understand how they can unlock their potential. Others have embarked on this journey and I have decided to join them by dedicating myself to reading a book per week for the next 25 weeks. This week’s high-level review, and application to sales coaching, is the book Extreme Ownership by Jacko Willink and Leif Babin.